A new poll suggests there is at least one fellow Republican who could unseat U.S. Sen. Ted Cruz in 2018: former Gov. Rick Perry. The discussion about Cruz's 2018 prospects comes as his popularity at home continues to take a hit following his unsuccessful presidential campaign. Thirty-nine percent of likely voters told PPP they approve of the job Cruz is doing, while 48 percent said they do not and 13 percent were unsure. Furthermore, a majority of Texas Republicans said they did not prefer Cruz as their presidential nominee. Fifty-two percent expressed a preference for Donald Trump, who vanquished Cruz in the primaries, and 38 percent for Cruz. The junior senator from Texas won the state's Republican presidential primary with 44 percent of the vote. Cruz's re-election campaign dismissed the poll as meaningless. "Polls more than two years away from an election are of no significant consequence and serve little more than to generate headlines to fill a news cycle," Cruz spokeswoman Catherine Frazier said in a statement. "Cruz is fully focused on his service to Texans and will continue to keep the promises he made to them, defending the Texas commonsense values of jobs, freedom, and security that have made our state strong." 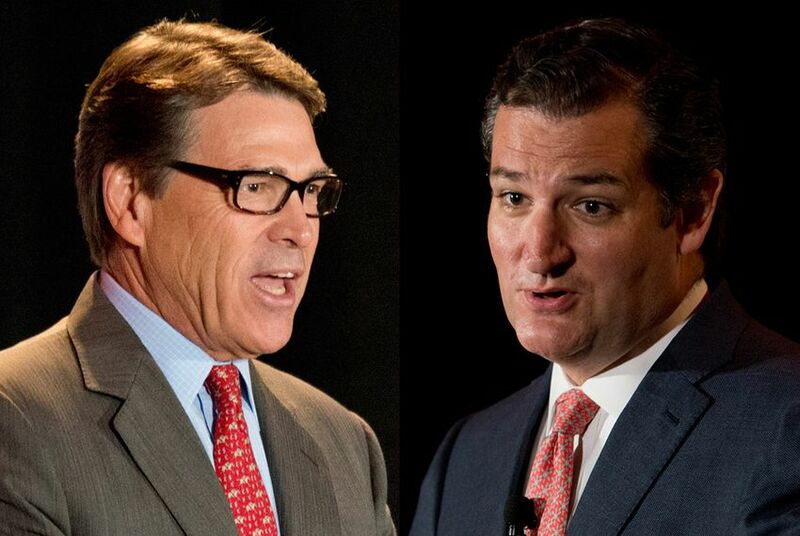 Beyond Cruz, the poll found that Gov. Greg Abbott remains the most popular Republican in Texas, with a net approval rating of +24. The survey suggests he would wallop Castro or Davis if either challenged him in 2018, beating them by 29 and 25 points, respectively. Another standout finding from the poll is that despite Texas' proud pro-gun tradition, voters strongly support some new regulations on the purchase of firearms. Eighty-nine percent say every person who wants to buy a gun should undergo a criminal background check, while 83 percent back legislation that prohibit people on the terrorist watch list from purchasing a firearm. PPP found a much narrower margin when it asked voters whether they supported a nationwide ban on the sale of assault weapons — 48 percent said yes and 43 percent no. The margin of error for the PPP survey is plus or minus 3.2 percent. From Aug. 12-14, the firm surveyed 944 likely voters in Texas using a combination of phone and internet interviews.